This entry was posted in BBC Sherlock, Dr Watson, Sherlock Holmes and tagged arthur conan doyle, BBC Sherlock, benedict cumberbatch, Dr Watson, Mark Gatiss, Martin Freeman, Sherlock Holmes, Steven Moffat. Bookmark the permalink. I really enjoyed it, too. It’s interesting seeing fan reaction, and realising what a difference it makes when you’ve read the source material and know that this ending was bound to come along at some point. 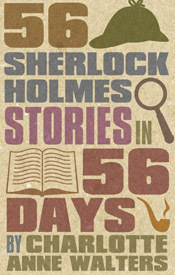 The lines that came afterwards, and were straight from Conan Doyle, didn’t jar one bit. I absolutely agree about Mary’s characterisation here. This was the first time I think it really worked. Of course, I think it owes something to a character in Billy Wilder’s The Private Life of Sherlock Holmes, but to say more would be to spoil both works equally… I also thought Mark Gatiss’s Mycroft was more like Christopher Lee than ever, and I was very happy about that! Knowing the canon certainly suggested that Mary would die so I wasn’t surprised, though I did think it might be the big finish at the end of the series, not the start. And they haven’t exactly been reliable with their use/interpretation of the canon in previous series, so it was never a given that Mary would die. Use of canon in this episode, I feel was particularly strong. Taking just two original stories and maintaining their essence was clever, weaving them not only into each other, into modern-day and your own on-going narrative takes some doing. Will the Dying Detective be so closely followed in the next episode? The trailer showing Sherlock saying ‘I love you’, suggests it might. One of the most memorable things about the original, is when Holmes is hurriedly asking Watson to conceal himself before Culverton Smith enters the room. He says, ‘if you love me’, when urging him to hide. Really interesting to see what they do with this one, hopefully better than Milverton and his mind-palace! Hopefully they’ve put the mind-palace to bed now! I thought exactly as you did about why Holmes just didn’t move out of the way of the bullet. Why would marry care more about Holmes than her husband and child? I will be perfectly happy if this series is the last one. I enjoyed the Canonical references and Lestrade’s complaints about being given credit for solving the crimes until John blogs the truth. I will get the DVD and look at the series again, but someone should whisper Norbury to Gatis and Moffat. Ha ha, love the Norbury comment – might use that in my next blog! In some ways it will be sad if this series is the last one, especially as they now seem to be getting back on form and finding a balance between being a detective/mystery drama and being a ‘drama about a detective’. 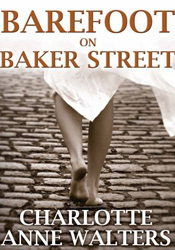 But I’m not sure where it can go after this series ends if they tie up all the loose threads – Moriarty, Mary, Sherlock learning to care for others, learning that he can be reckless and this has consequences. I do think it might be coming to the end of it’s natural life. The gaps between each series are so great because of how busy the stars have become, that I think it might be time to set them free now and bring it to a close.